Home :: Mikrotik Desktop Routers :: Mikrotik RouterBoard hAP ac2 RBD52G-5HacD2HnD-TC-US low cost 5 port 10/100/1000 switch/router SOHO AP with dual radios - New! Mikrotik RouterBoard hAP ac2 RBD52G-5HacD2HnD-TC-US low cost 5 port 10/100/1000 switch/router SOHO AP with dual radios - New! Mikrotik RouterBoard hAP ac2 RBD52G-5HacD2HnD-TC-US 5 port 10/100/1000 switch/router SOHO AP with both 2.4GHz and 5GHz radios - New! 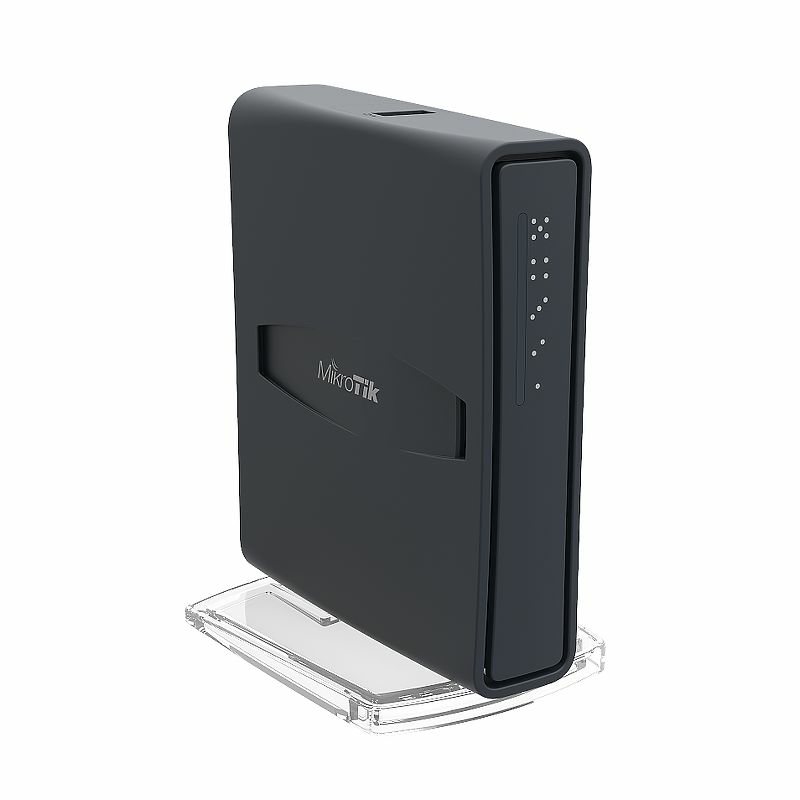 hAP ac² Dual-Concurrent 2.4/5GHz AP, 802.11a/b/g/n/ac, Five Gigabit Ethernet ports, USB for 3G/4G support, universal tower case. The hAP ac2 radios include a 500mW dual chain 2.4GHz 802.11b/g/n with 2.5dBi antennas and a 400mW dual chain 5GHz 802.11ac with 2.5 dBi antennas. RBD52G-5HacD2HnD-TC is available in two versions. The US version is for US and Canada. The International version is for countries outside the US and Canada. NOTE: RBD52G-5HacD2HnD-TC-US (USA) is factory locked for 2412-2462MHz, 5150-5250MHz and 5725-5850MHz frequencies. This lock meets FCC requirements and can not be removed.